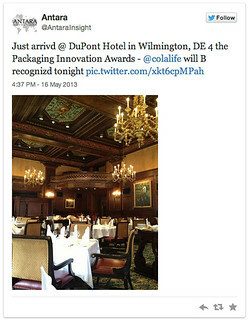 Last night (16/5/13) while we slept in Zambia, there were celebrations going in Wilmington, Delaware, USA at the DuPont Packaging Innovation Awards. 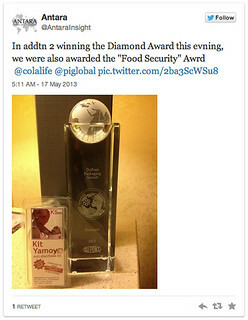 This morning we learnt that we’d won the top prize (Diamond) and we also won in the ‘Food Security’ category. 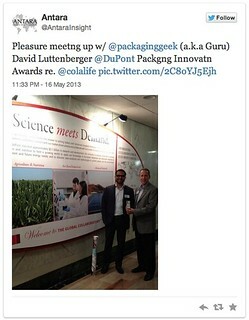 It was great that our colleague, Rohit Ramchandani, was there and met up with Chris and Eric from our packaging partner PI Global. 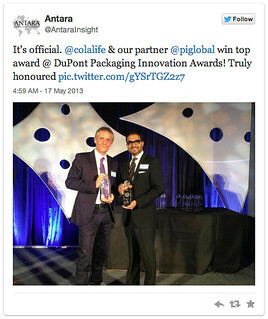 There is nothing about the awards on the official websites yet but Rohit was tweeting (@AntaraInsight). So this is how the day unfolded as seen through Rohit’s tweets! Here they are in chronological order – it was a long day! We now have more details. 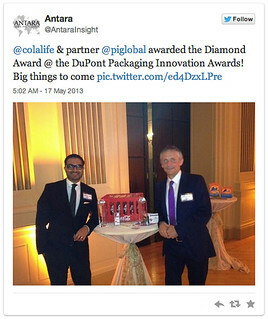 10 silver awards were given. 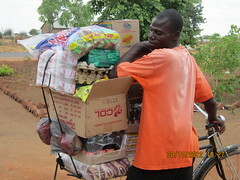 The first to be announced was Kit Yamoyo and was the ‘Food Security’ award. At this point those present thought that was it. 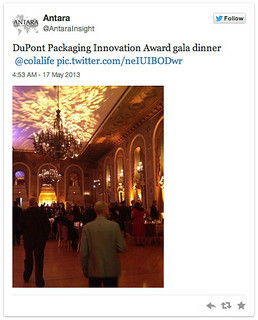 4 gold awards were then presented. 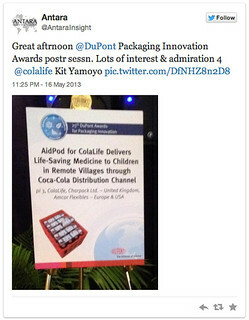 And then finally the one diamond award was given for the Kit Yamoyo. 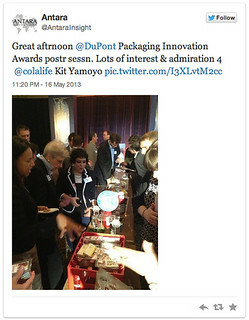 What the judges liked was the fact that the packaging performed multiple functions. As well as carrying the components of the kit safely and securely it is the measure for the water, the mixing device, storage device and cup. 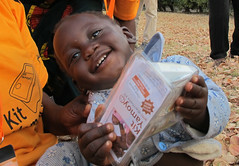 They also liked the fact that the packaging was contributing to social change. It was a clear winner. 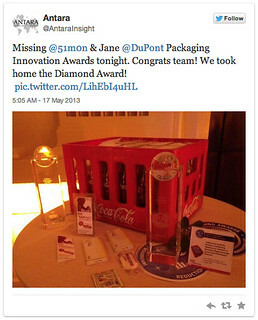 Hi Simon, Congratulations with the prize – it is well deserved I think, for this great product / idea. From your website I understand it took more than 20 years to come to this result? But the most important thing is that this is an example of how small things can matter in a complex world problem. I praise you and your team for that. PS: your demonstration clip is clear and made with the right intentions, but a bit boring. Time for a more professionally made clip!